If you’re looking for the best place to buy the Galaxy Note 9 from right now, it’s probably not Samsung’s official US e-store, where the S Pen-wielding powerhouse still costs $999 and up. As third-party deals go, Best Buy can help you save a whopping $520, but only with Sprint installment billing and new line activations. Alternatively, Verizon subscribers willing to sign a device payment plan are being treated to a $150 discount, as well as a free wireless charging pad worth an extra 60 bucks or so. But if you have a physical Fry’s Electronics store near you, you can get an excellent $400 off the Note 9’s list price with AT&T installment agreements today only. Instead of coughing up a grand total of $1000, you'll be merely charged $19.99 a month for 30 months or $24.95 a month for two years, equating to a considerably more reasonable $600 or so. There are no other strings attached to this deal that we know of, like an obligatory trade-in or a coupon code you need to remember, but availability is “subject to carrier delivery”, so don’t be surprised if certain stores run out of inventory as they near their closing time later today. In case you’re wondering, yes, a better Samsung phone is right around the corner, also bringing affordable company with it. But even the so-called low-cost Galaxy S10 variant is expected to fetch $750 or so stateside. 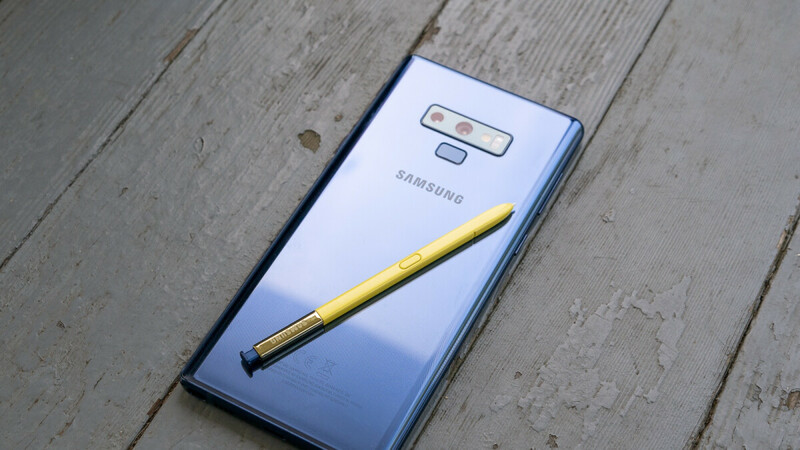 At 600 bucks, the Galaxy Note 9 includes a convenient and cool-looking S Pen, while packing a respectable 6GB RAM and 128GB internal storage space, as well as an extra-large 4,000mAh battery. The no-notch, no-hole 6.4-inch Super AMOLED “Infinity” screen is also a stunner, as are the dual 12MP rear-facing cameras. If you can get it, it would be foolish not to take advantage of this pretty sensational new deal. Would be nice if you could pay it off early, instead of having to make a monthly payment for 24-30 months. I'm positive you can pay extra, us law prohibit penalize for extra payments on credit, well at least in Minnesota. Probably can pay off early but usually the lower price is with bill credits every month. For example if its a $400 discount the device payment is $41.66 / month and for every month you have a payment they issue a $16.67 credit =$24.99. So if you pay it off early you miss out on the monthly credit. You can pay it off early.